Roebuck Gardens is a mixed-tenure development comprising of 26 environmentally sustainable properties. All homes were built to be as environmentally-friendly and energy-efficient as possible for the residents. 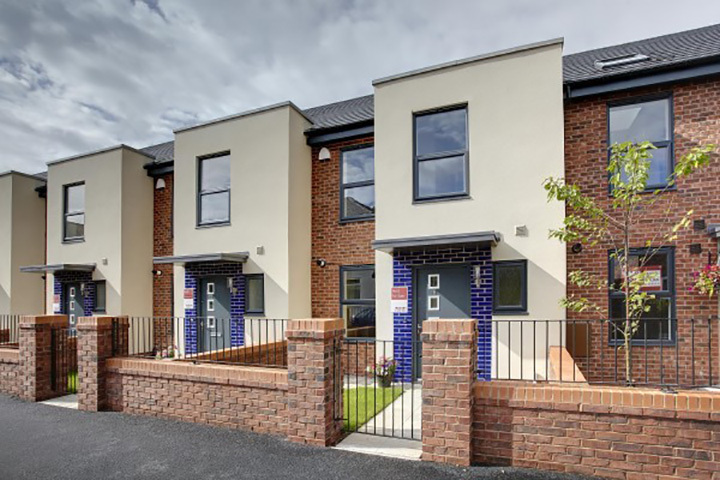 The houses achieve Level 3 of the Government’s Code for Sustainable Homes, whilst the flats achieve Code Level 4 and feature solar photovoltaic panels and a sedum roof, which provides insulation and creates a habitat for wildlife. All the new homes feature highly efficient heating systems and water-saving features such as restricted flow taps and showers. A&M worked as a subcontractor to Lovell and was fully committed to their aspirations of ensuring their properties were energy efficient and running costs were low. To support the sustainable development of the properties, A&M provided loft insulation to 22 of the properties and to the block of 4 apartments. External and Party Wall insulation was also installed ensuring acoustic insulation. Warm roof insulation was installed in to the block of 4 apartments.